Want to make your guests feel welcomed when they visit? 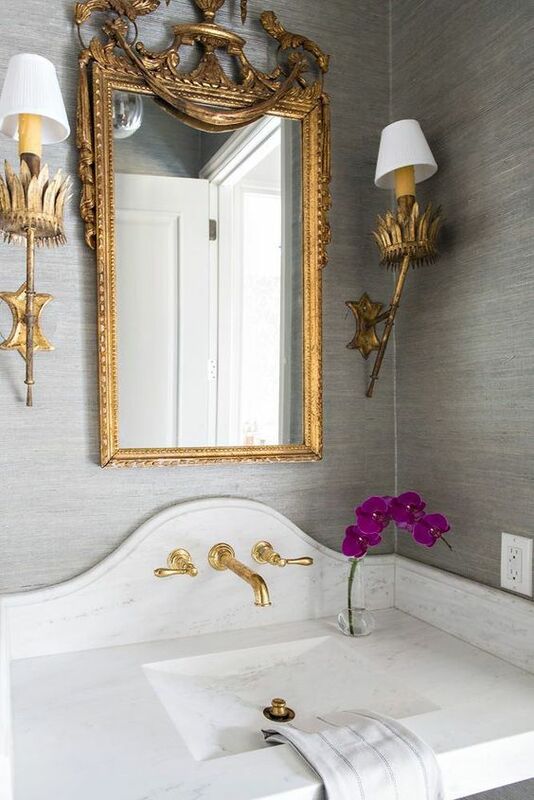 Nothing spells eloquence and comfort quite like a stylish whimsical powder room. 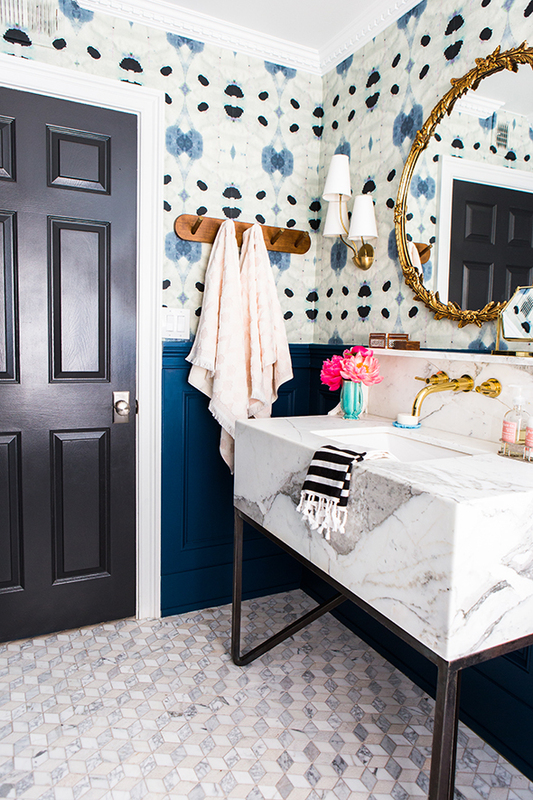 The powder room is one of the smallest spaces in your home, so you shouldn’t be afraid to get a bit daring with the design choices. This is your creative space to do as you feel. Whether you use bold colors and textures or utilize different materials, it’s a small space so bolder design choices won’t feel so overpowering. Not sure what your personal style is or just how bold you want to go? Sometimes, looking at small pieces of furniture or home décor can help you get some ideas. For instance, a constellation mirror from Baker Furniture might give you an idea to go with an astrological theme. Another option for figuring out your personal style would be to check out nice bathrooms in person. Open houses and bathroom shows often have great ways for you to create a wow factor in such a small space. 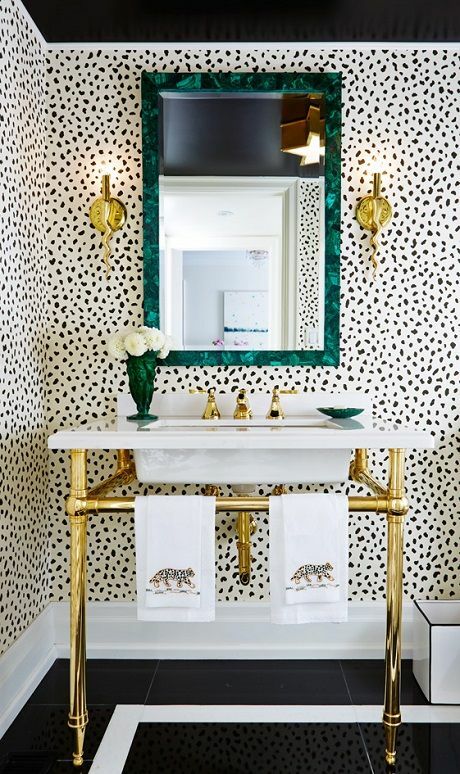 While you may have tans, beige, and sand throughout your home, your powder room is a great space to go bold with your paint color. Vibrant colors like navy, black, chocolate, and even merlot can look marvelous in a small space. Or consider going bright with an energizing color like honey gold or rubine red. If you’re going to go neutral, consider a textured or patterned wallpaper accent wall to make the room really pop. Though the powder room is a small space, it doesn’t mean it can’t provide you with ample amount of storage. 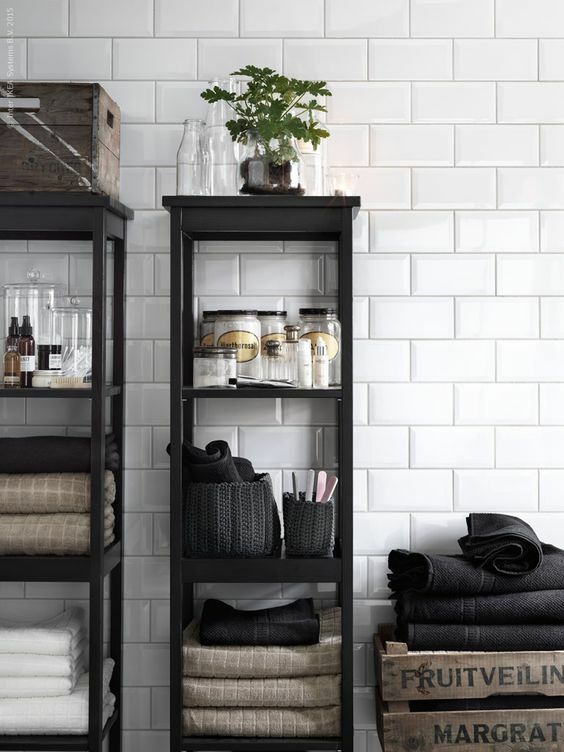 Get creative with storage options in a small space. For instance, installing a shelf over the toilet can create space for soap, hand towels, and other toiletries your guests might need. If there’s enough space in the room, you can also consider a chest or ottoman to store other items like towels. 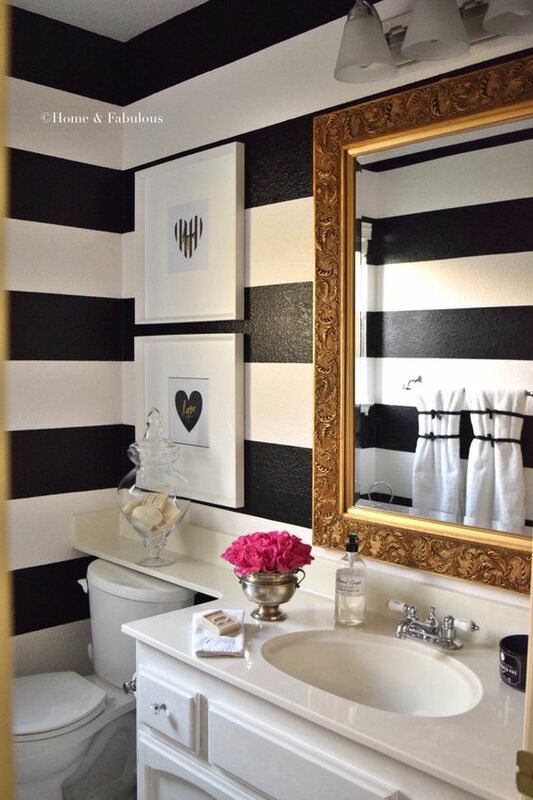 You know the great part about decorating a small space like a powder room? You don’t have to spend an arm and a leg on materials. The space is so small that you can afford to splurge on high-end materials. Whether you want stone countertops or intricate floor tiles, you can get them without worrying about a large price tag. Now for the really fun part… the accessories. 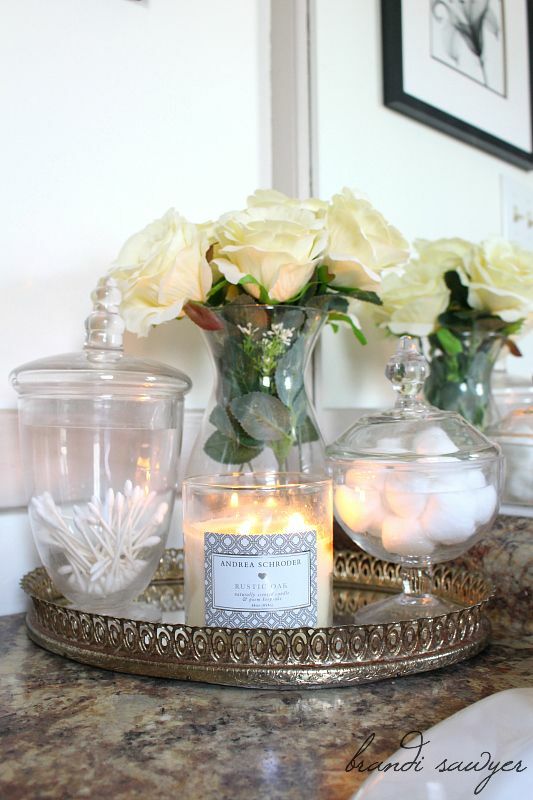 If you’re going to make your powder room hospitable you need to create the right vibe. Add wall art or paintings to the walls, place nice figurines or vases for the countertop, invest in a nice soap dish and lotion container and even a nice towel set. Add a little dimmer for the lighting and place a few scented candles around to complete the ambiance. We tend to be a bit more lax when it comes to decorating the rest of our home. A space as small as the powder room is the best place in the home to really allow your creative juices to flow. Be bold, be daring, and try new things. The next time you have guests over, you’ll likely have a hard time getting them out of the restroom!